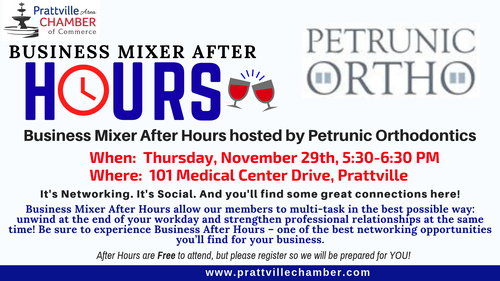 Join Us for a Business Mixer After-Hours hosted by Petrunic Orthodontics! Business Mixer After-Hours allow our members to multi-task in the best possible way: unwind at the end of your workday and strengthen professional relationships at the same time! Be sure to experience Business After Hours – one of the best networking opportunities you’ll find for your business. Business Mixer After-Hours are FREE for our members, but we ask you to register so we will be ready for you!